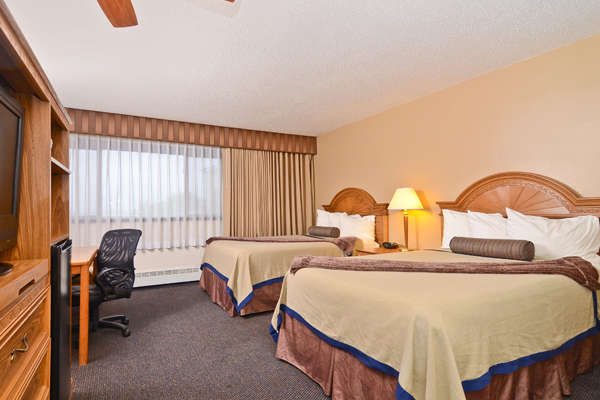 When you arrive at the BEST WESTERN Kodiak Inn, you can easily relax in one of our spacious guestrooms complete with pillow-top beds and complimentary high speed wireless Internet access. 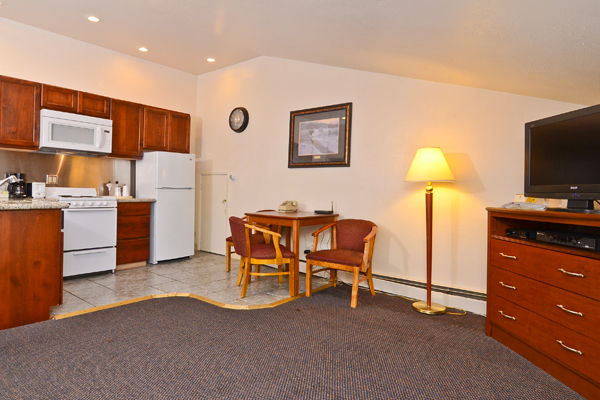 All of our accommodations offer a 40” TV with cable, microwave, refrigerator, hair dryer and coffee maker. Many of our rooms also offer make-up mirrors. For that extra special touch, request a room with an ocean view. Both smoking and non-smoking rooms are available. Ideal for a couple or single traveler to Kodiak Island, this room features one queen pillow top bed, free high speed internet access, microwave, and refrigerator. 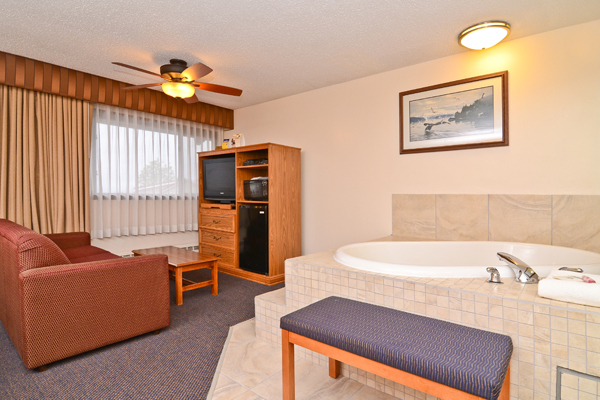 Our standard amenities including a coffee maker, iron/ironing board, and free full breakfast are also included. 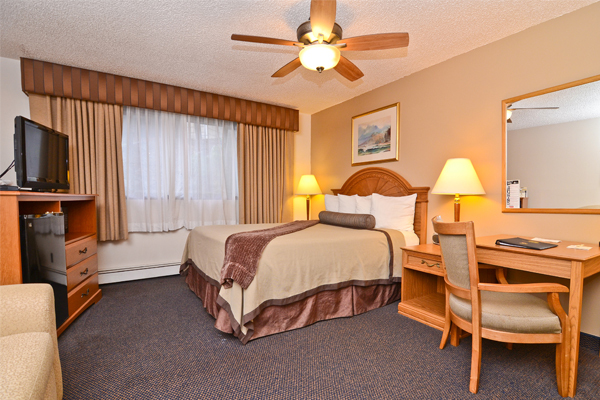 Relax after a long day in our BEST WESTERN Kodiak Inn traditional accommodations. 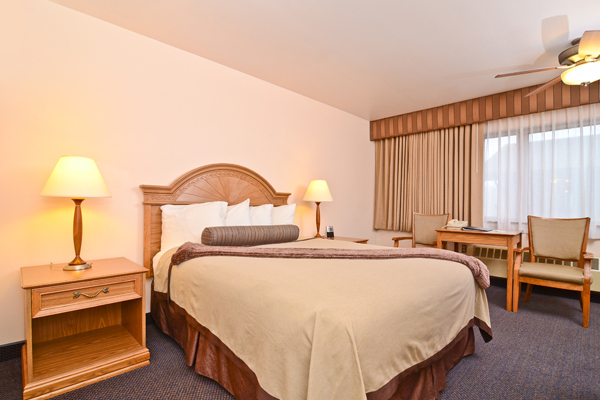 This room provides well-appointed surroundings with two double size pillow top beds. Amenities include in room coffee/tea maker, iron/ironing board, microwave, refrigerator and a full bathroom with hairdryer. You will also enjoy your 40” TV with cable. Wireless internet access and full breakfast is complimentary. This is a perfect choice for family or friends traveling together. Our mini suite features both a pillow top king bed and pull out sofa-bed for additional guests. Microwave, refrigerator, well lit oversized desk area, high speed Internet access, full breakfast and our standard amenities are all included. Ideal for romantic getaways, our Honeymoon Suite features a luxurious whirlpool tub, ultra-comfortable pill-top king bed and all our standard amenities including microwave, refrigerator, well lit oversized desk area, high speed Internet access, and full breakfast. Great for families and long-term guests, this suite offers the convenience of a kitchenette, along with all our standard amenities including, well lit oversized desk area, high speed Internet access, and full breakfast. 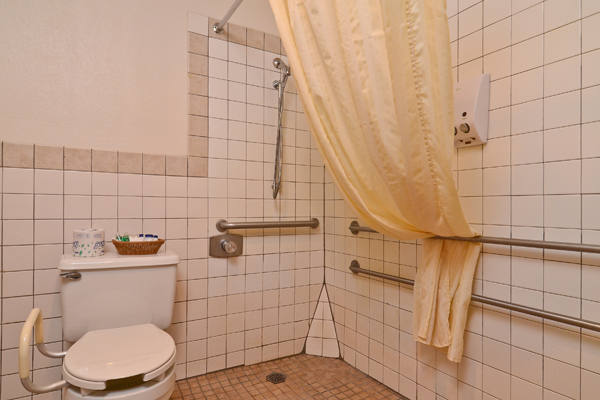 For the comfort and safety of our disabled guests, this accessible guestroom features a roll-in shower with safety bars, a raised toilet with grab-bars and closed caption TV. You’ll also enjoy all of our standard in-room amenities including microwave and refrigerator. 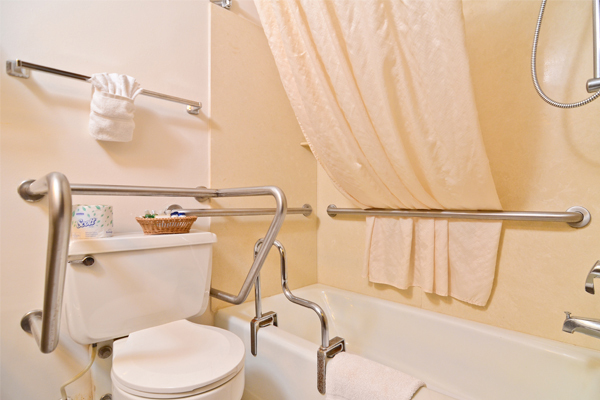 This accessible guestroom features a bath tub with seat, a raised toilet with grab-bars and closed caption TV. You’ll also enjoy all of our standard in-room amenities including microwave and refrigerator. BEST WESTERN, Stay With People Who Care® Each BEST WESTERN® branded hotel is independently owned and operated. © BEST WESTERN International, Inc. All rights reserved.